I have been dragging my feet where knitting was concerned. Spinning and weaving are currently on my brain, and knitting seems so tame, and, well, tame in comparison. 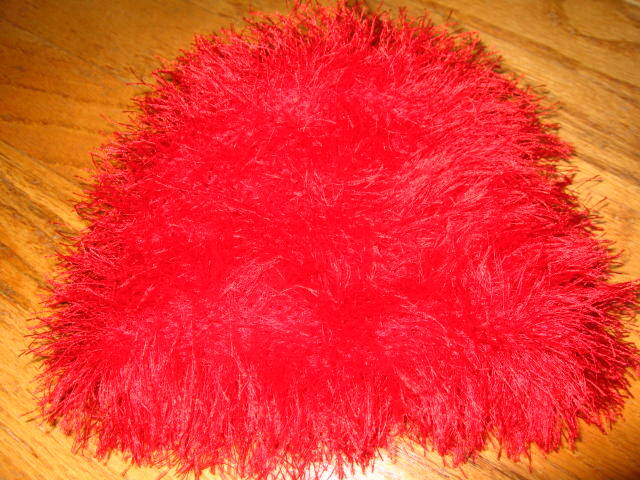 This red cap was the first one I knitted. It only took one day to knit it up — the first time. I was finishing off the very last stitch, when I noticed I must have dropped a couple of stitches. On closer examination, the opening laddered all the way down to the beginning. I was ready to cry. But, I bravely and stoicly frogged the entire cap and started over. It only took three more tries to get it right. 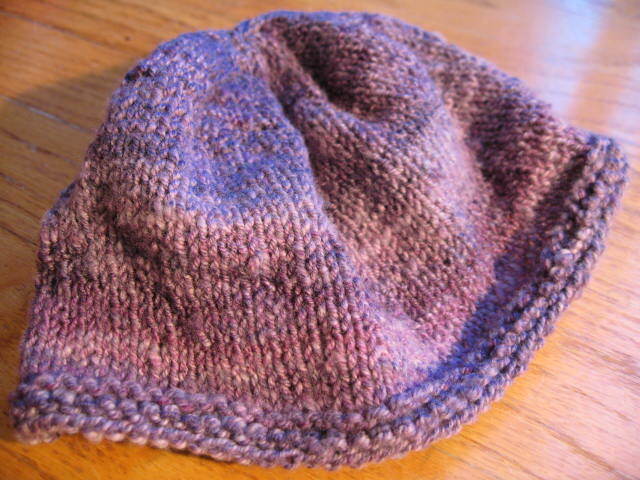 And only the first required complete frogging… I hope it survives at least one wearing. The black one was easier. It gave me very little trouble. 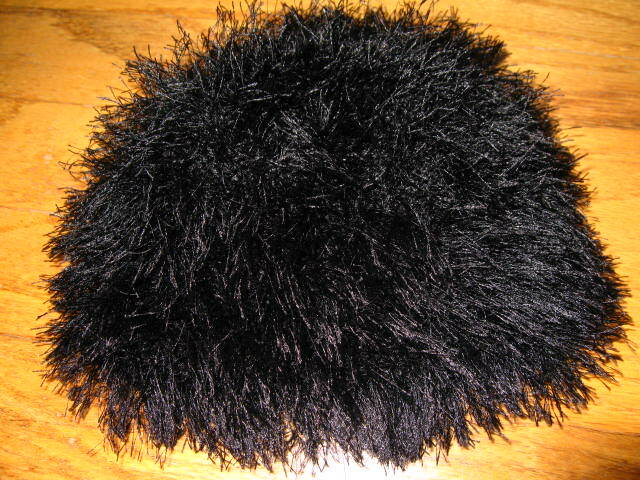 I fervently pray that I will never, ever, ever have to touch fun fur again. Handspun is a different story altogether. 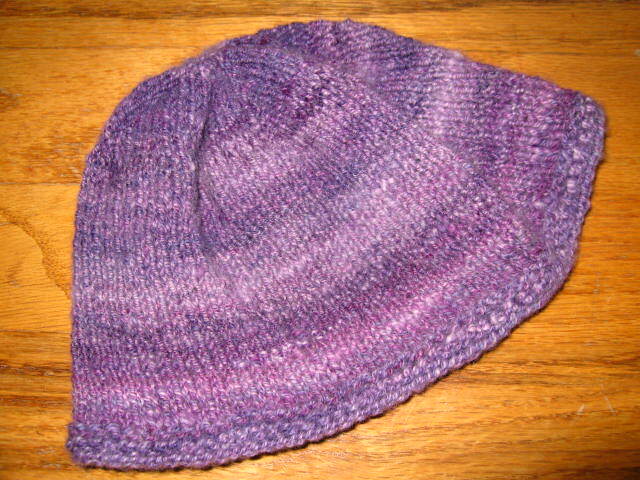 This is Purple Grapes worsted weight yarn, a hand-painted superwash merino. 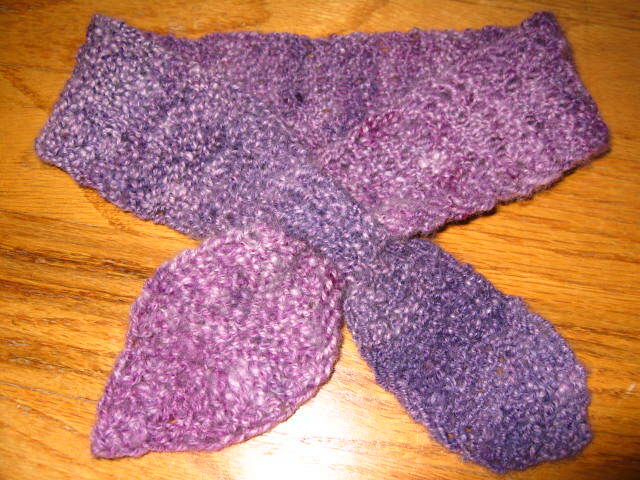 This is the first time I’ve knit any handspun, and I’m glad it was my own. What a joy it was to touch and knit! It performed beautifully, with none of the unravelling I’ve experienced from mill-spun yarns. It was knit up in one afternoon, at the birthday party barbeque for my nephew. The pattern is “Shortie“, also from the Head Huggers site. It’s a wonderful resource of chemo cap patterns, and a great place to donate time and money. See the tail? That was all I had left. When I got to the last few yards of yarn, I measured and made estimates for the number of rows it would knit. It’s my first time blocking! It really makes a difference to the finishing of the cloth. 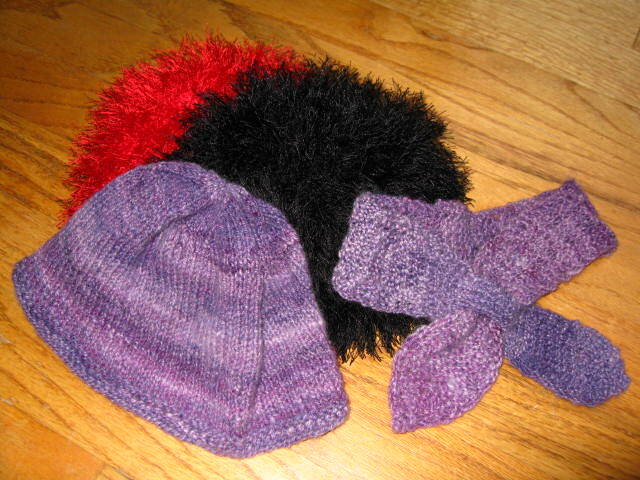 These recent projects really rekindled my enjoyment of knitting. 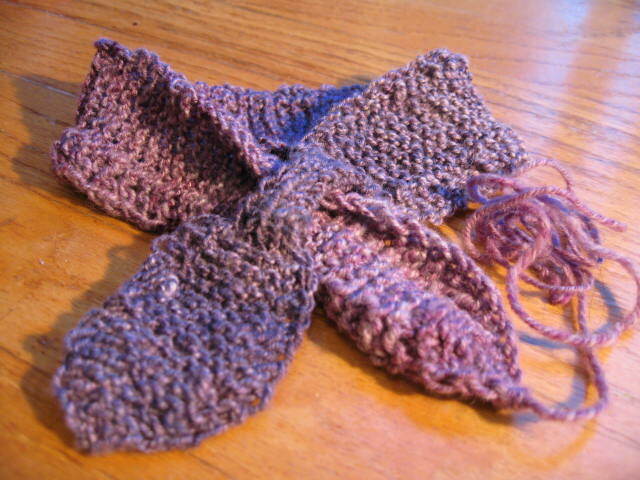 I’ve already started another project, a scarf, with more of my handspun. These count as four items! My goodness, I now have six FOs.